The 2019 Volkswagen Jetta is one of the most anticipated models of the next year, and from what we gather after its unveiling at the 2018 North American International Auto Show in Detroit a few weeks ago, buyers and VW enthusiasts have every reason to be excited about the new Jetta. Better in every way, the 2019 Jetta will certainly meet expectations, and exceed them as well. Here are three things to know about the 2019 Volkswagen Jetta which is slated to arrive on the market towards the end of spring. The 2019 Volkswagen Jetta will be built on a new MQB modular platform, the same one that underpins the new Volkswagen Tiguan and Atlas, among other new VW models. This platform offers a host of advantages including an improved ride in both the performance and comfort side of things, more interior space, and better overall dynamics. The 2019 Volkswagen Jetta will feature a lot more interior space than the outgoing model. Notably, the 2019 Jetta will get more interior passenger space, more cargo space, and more interior volume that translates into more storage space. It will also feature a host of new advanced technologies such as VW’s 12.3-inch virtual cockpit which is ultimately a digital instrument cluster, Apple CarPlay and Android Auto, and plenty of other tech gadgets as well. 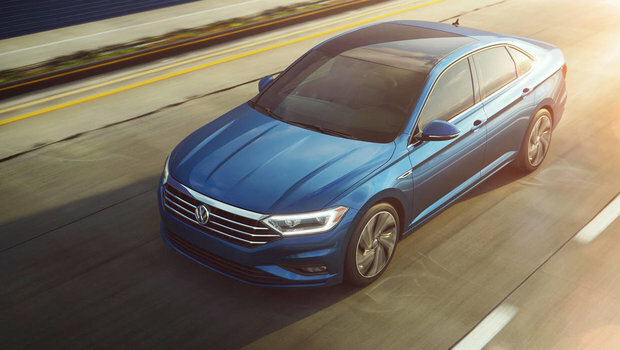 On the safety side, the 2019 Volkswagen Jetta will feature advanced driver assistance technologies such as adaptive cruise control, blind spot monitoring, lane departure warning and prevention, and forward collision alert. In other words, this is by far the most advanced Volkswagen Jetta ever to be introduced, and buyers can expect a level of luxury and refinement that goes beyond anything they can find in this segment. One thing that doesn’t change on the new Volkswagen Jetta is the 1.4-liter turbocharged four-cylinder engine. 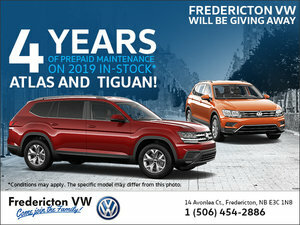 It delivers 147 horsepower and 184 pound-feet of torque as it did in the current Jetta, but it can now be paired with a more efficient and dynamic 8-speed automatic transmission. In other words, you get the best torque in the segment for an entry-level engine, but buyers can also expect unrivaled efficiency as well.